Green Belt is in two parts and follows on from the one day Yellow Belt training. Team members/leaders/supervisors/project and business unit managers that have attended the Yellow Belt course and are looking to complete a process improvement assignment. Yellow Belt trained – ideally certified. An in-house process that needs fixing! Understand what’s needed to become an ‘agent of change’. 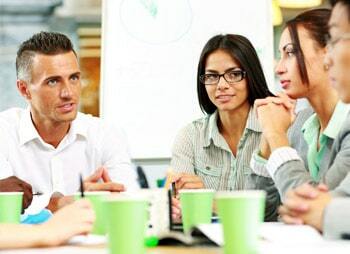 Running a course In-house for both the Green Belt Practioner and the Fully Certified Green Belt will result in additional benefits such as significantly lower cost per candidate, focussed training agenda, flexible schedule to suit service/operational needs and ability to work directly on company process improvement projects during the training. It’s for process improvement and lean practitioners who want to take their problem solving skills to the next level by building in analytical and diagnostics techniques. Certified or in process to become a certified Green Belt practitioner. An interest in the analytical techniques for data handling. Green Belt Part 2 specialises in the analytical tools used with the Lean Six Sigma roadmap to enable candidates to advance their ability to problem solve, be more precise about locating the root cause and strengthen their understanding of standardisation necessary to sustain changes. Part 2 uses Minitab or Sigma XL software to undertake the statistical analysis work required and candidates will be able to download a free months trial. Day 8 provides an overview of Design for Six Sigma which is used to develop and evaluate new concept options for a project using the Houses of Quality and Define, Measure, Analyse, Design, Verify (DMADV) roadmap. The course includes generating concepts using the Morph matrix and evaluating concepts using the Pugh matrix. Certified Green Belts are on a pathway towards becoming seen as a problem solver, change agent and process improvement coach. You will become more proficient not just in using the process improvement roadmaps and technical tools but also in handling the change management more effectively. Assess the current capability of a process and whether you have a variation or positioning problem to fix or both! Design the functions and features for a new product or service using Design for Six Sigma methodology and the DMADV roadmap and toolkit. The certified Green Belt course is the pathway to progress further to qualify as Lean Six Sigma Black Belt. To fully certify as a Green Belt at Part 2 requires completion of Green Belt Part 1, attending Part 2 training, passing an exam and the leading of a second improvement project through to completion. Funding for in-house lean programmes. Lean 6 Sigma is on the Callaghan Innovation provider list for delivering Better by Lean consulting services.